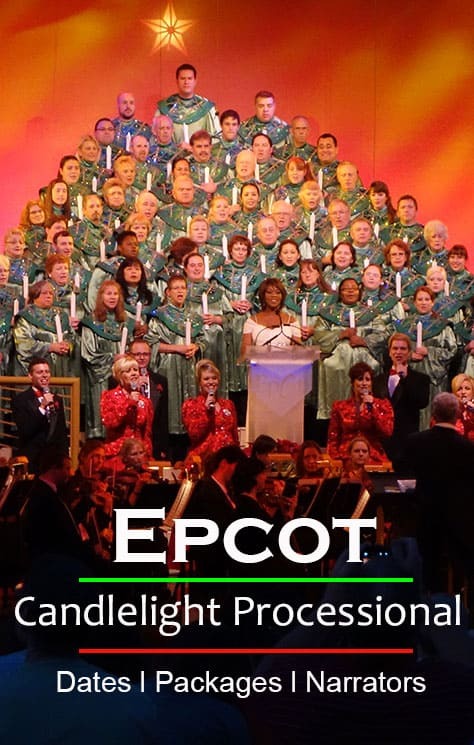 The Candlelight Processional is held at the American Gardens Theater in the America Pavilion and is included free of charge with your Epcot admission and is first come, first seated, unless you book the Candlelight Processional Dinner Package which allows you to receive a special pass that guarantees you a seat for a performance. 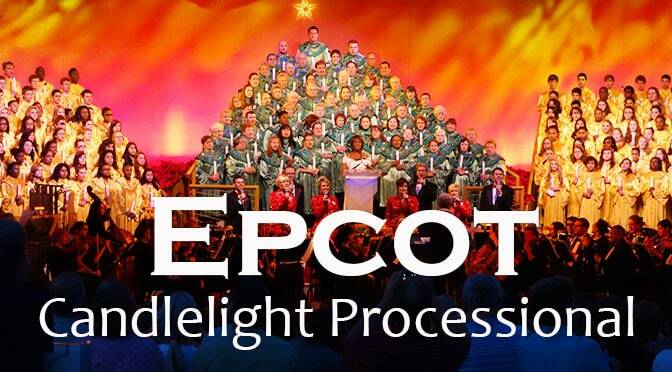 The Candlelight Processional takes place at 5pm, 6:45pm and 8:15pm nightly from November 22 to December 30, 2018. The Candlelight Processional Dining Package will provide you with a lunch or dinner meal at one of the Epcot restaurants below. The meal includes a choice of appetizer, entree, dessert and non-alcoholic, non-speciality beverage or a full buffet at buffet restaurants. Princes below do not include tax or gratuity and park admission is required. You can use your Disney Dining Plan but they do not accept the Quick Service Plan. You can book online beginning July 11, 2018 by following this link https://disneyworld.disney.go.com/dining/epcot/candlelight-dinner-packages/ or call 407-WDW-DINE. 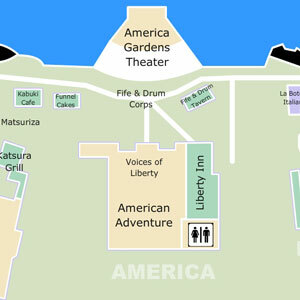 Tutto Italia Ristorante and Via Napoli Ristorante e Pizzeria (Italy pavilion). To reserve your Candlelight Dining Packages, please call (407) WDW-DINE or (407) 939-3463 beginning June 11, 2018. Learn important information about the Candlelight Dining Packages. This experience requires 2 Table Service Entitlements for Magic Your Way Dining and Magic Your Way Deluxe Dining Packages. Candlelight Dining Packages are only offered seasonally, during the holiday season only. Tax and gratuity are not included in the prices shown here. Alcohol will only be served to Guests ages 21 and older. Call (407) WDW-DINE or (407) 939-3463 for additional information and reservations. You may also visit Holidays Around the World for the latest information. Reservations require a candlelight guarantee. Reservations for Candlelight Dining Packages can be made beginning on July 11, 2018. Advance reservations are highly recommended. Shows take place 3 times per day at 5:00 PM, 6:45 PM and 8:15 PM, except on December 4, 2016 when shows take place at 6:45 PM and 8:15 PM only. Here’s a list of 2018 narrators so far. I’ll fill it in as Disney announces more narrators! To reserve your Candlelight Dining Packages, call (407)WDW-DINE or book online here. I have the dining package for 6:45 show. When do you advise I line up to get a seat. and speaking of seats is there a section I should seek out for the bes view? My wife has been dying to see this for years and this is my only chance to make it right ;0P) appreciate any guidance you can provide so I can insure she has a great spot to see the show. Thank you both for your comments and helpful info! If you are on the dining plan can you get an alcoholic drink as your beverage if doing the Candlelight Processional Dining Package? Any info on who the narrator will be on 11/28? Disney still not releasing update. We have not yet purchased our tickets to the park (hoping to get tickets through my Dad’s work) and I can see the restaurant times on MDE…but it will not let me link from any of them. Is it because I don’t have tickets attached to our account? TIA! based on your experience, how likely are you to get a seat with out dining reservations? You’ll wait in a long line, but the 3rd show is usually the least attended. Does anyone know if you can use your Annual Pass discount or Tables in Wonderland discount with this package? Any one know why only two shows on Dec 4? We have a dining package for the 11/30 5pm show. I managed to get us (family of four) FP for FEA at 4:10pm. Is this doable? I’d like to do both and don’t really care about getting a good seat (although want to all sit together). Looking forward to your advice. Thanks. Should be fine as long as the ride doesn’t break down earlier in the day and back up the Fastpass line. How long is the show? I’m guessing an hour and a half due to the other start times?